The excitement of the circus returns to Williamston Sept. 2 with showtimes at 2p.m. and 4:30 p.m. at the Amercian Legion Grounds on Hwy. 20 Connector. The Lewis & Clark Circus is a one ring European-style circus under the Big Top featuring continuous action in the center ring. One of the featured acts will be performed by Jose Ayala. He will show his blancing skills as he stacks round cylinders seven high. He is the only performer in the United States that performs a seven high Rolla Bolla act on a daily basis and will amaze audiences of all ages. Also Elizabeth Ayala will show her acrobat abilities while she hangs from her hair 20 feet in the air. Families attending the show can expect to see hi-flying trapeze artists, high wire artist, amazing acrobats, juggling, zany clowns, horses, camels, performing goats and more circus excitement. The circus midway will be open prior to show time featuring pony and camel rides, concessions, a free petting zoo and other activities. 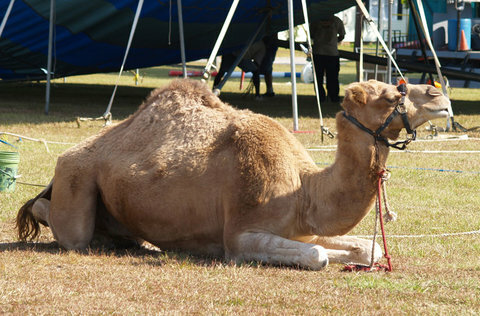 Tickets for Lewis & Clark Circus can be purchased online at www.lewisandclarkcircus.net. Advance ticket prices are $12 for those ages 15 and above. Children age 14 and under can receive FREE admission with a special coupon available at www.lewisandclarkcircus.net and at local merchants. Tickets purchased on the day of the show are $17 each for adults and $5 for children age 14 and younger.